This Is A Comfortable And Perfect Exercising Experience Which 4' X 10' X 2' Exercise Mat Is Highly Recommended When U Take Exercises, Such As Yoga Or Pilate. 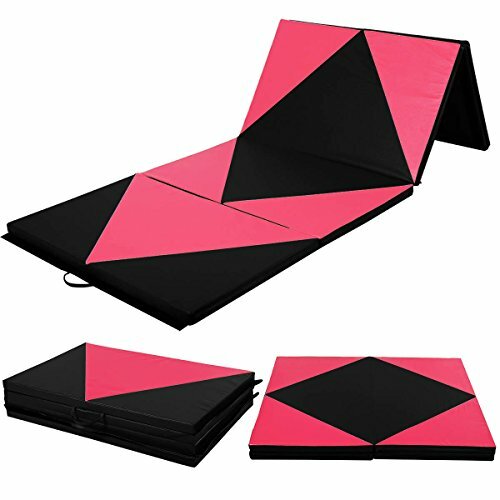 It's Thick, Durable And Foldable With Sewn Handles, Which Makes It Easy For Carry And Storage. The Mat Can Be Cleaned Easily Due To The PU- Leather Cover That Is Non-Absorbent. This Durable Tumbling Mat Is Ideal For Your Healthy Workout. Easy To Clean Durable PU Leather Cover, Tumbling, Exercise Programs, Pilates, Stretching, Yoga, Martial Arts, Gymnastics, Day Care Activities, Etc. If you have any questions about this product by DTOFREE, contact us by completing and submitting the form below. If you are looking for a specif part number, please include it with your message.